Over the summer holiday period we’ve continued to work away at trying to make sense of the results of the range of surveys we undertook earlier in the year. 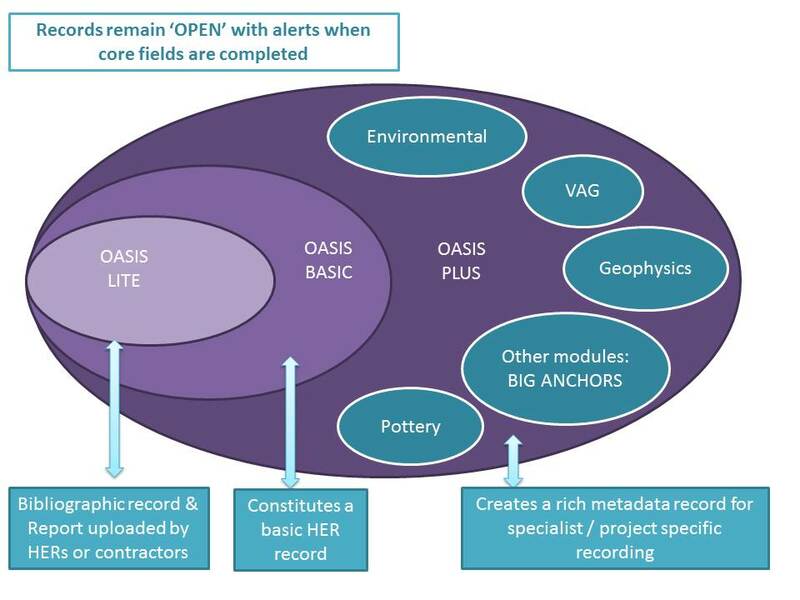 While completion of the reports is still a work in progress we wanted to give you a sneak preview into the results and the way in which it was forming out ideas about a new model for OASIS. The survey results have reinforced a few things that we already suspected. need to maintain a consistent and continuing level of communication, engagement and training surrounding the system. need a range of work-flows to suit different people. need to provide for different levels of interaction with the system, from a light touch to a comprehensive reporting system. need to encourage the archiving and dissemination of grey literature. need to include the museum curators in the process. need to include the ability to record specialist data when and where appropriate. need to work with data consumers to make import and export systems that are simple to use. For those HERs who primarily value the services provided by the ADS Grey Literature Library , we will have a limited number of fields and simple report upload facility that could be used by either the HER or the unit. A second option may better serve those who want to take data from OASIS to form a basic event record, much as it does now. And we could also look at a range of additional specialist modules to be used when appropriate. We are still open to all good ideas; so let us know if you have a brainwave!